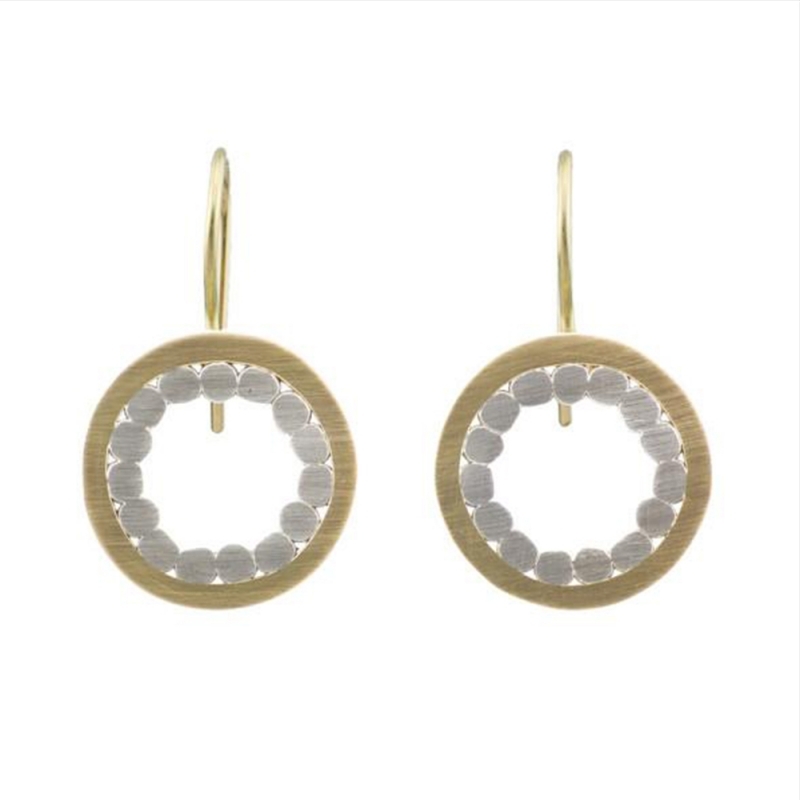 These stunning 'Aura' earrings from the Mitosis collection, feature a mix of 100% recycled sterling silver and 18ct gold. They are completely hand fabricated using Gemma Grace's signature 'compressed granulation technique'. Individual granules of metal are first made by melting tiny pieces of sterling silver which form into spheres. The granules are then fused together by heating them to a precise threshold between solid and liquid metal. They are then flattened to form an intricate pattern which is completely unique to each piece. Every earring is therefore one of a kind. These earrings feature a brushed finish and fixed shepherd hook earwires. Measurements 3cm long x 1.8cm wide. Material(s) Sterling silver and 18ct gold.